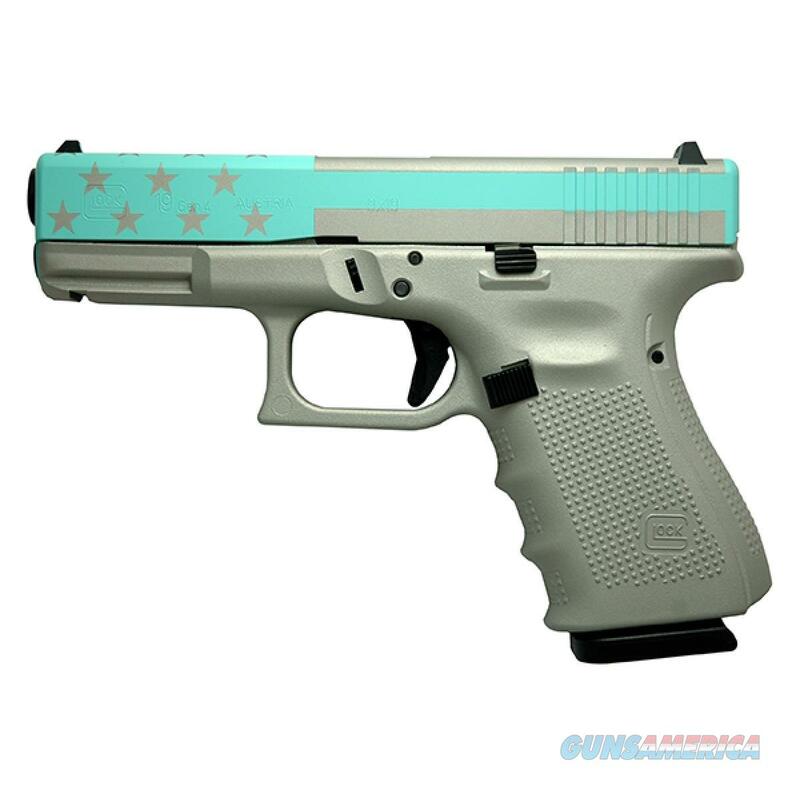 This is a special make-up of the Glock 19 Gen4. The frame is a silver cerakote and the slide is a silver and robin egg blue cerakote American Flag Subdued. It comes with interchangeable black backstraps and (3) 15 round magazines.